Earth and Environmental Science at Acadia offers programs leading to B.Sc. degrees in Environmental Science, Geology and Environmental Geoscience, and M.Sc. degrees in Geology and Applied Geomatics. 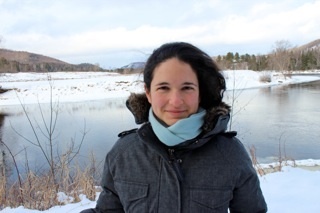 Alice Cohen featured in "Research Spotlight"
The April Acadia University Research Spotlight featured Dr. Alice Cohen. Here we archive her conversation with Omar Bhimji, Research & Innovation Coordinator. Read more … Alice Cohen featured in "Research Spotlight"
Chris White and Sandra Barr - best paper award in Can. J. Earth Sci. 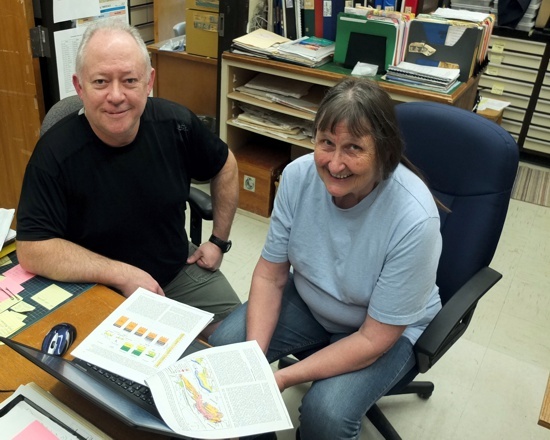 Chris White and Sandra Barr, along with co-author Ulf Linnemann, from Dresden, Germany, will be recognised at the annual meeting of the Geological Association of Canada in Quebec in May as the authors of the best paper in the Canadian Journal of Earth Sciences in 2018. Read more … Chris White and Sandra Barr - best paper award in Can. J. Earth Sci. 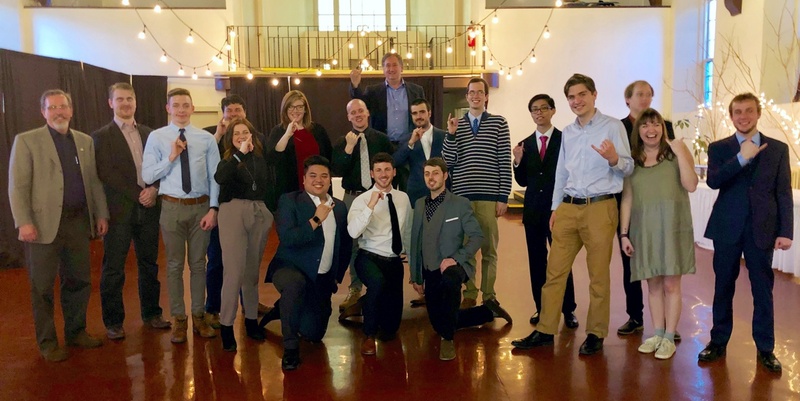 Thirteen soon-to-graduate students received their Earth Science rings at a ceremony in Dalhousie University on 5 April.